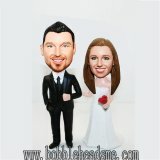 This couple bobblehead doll makes a great wedding cake topper. 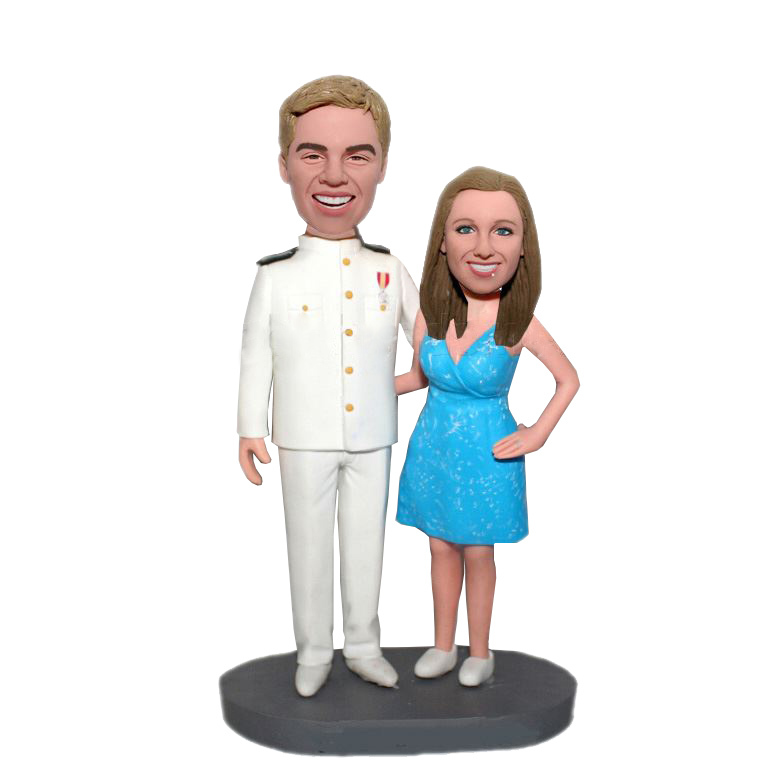 The groom is in military camo, and the bride is in a simple blue dress.Get rid of the wedding dress, but it is wedding time. 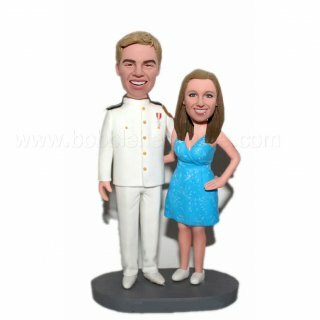 Order this doll for your pals who is a office or your military superiors who is getting married.This custom made bobblehead will definitely a unique artwork to decorate a wedding cake.